I was able to get tickets for the Daniel Hudson autograph table at the Diamondbacks Fan Fest earlier this year. 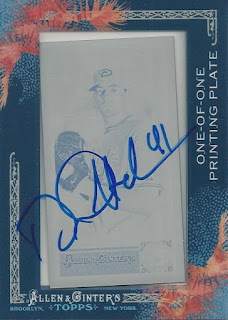 I brought along a few nice cards with me including my 2012 Allen & Ginter Cyan Printing Plate. It's the first plate from an A&G set that I own. Pretty cool. Awesome! 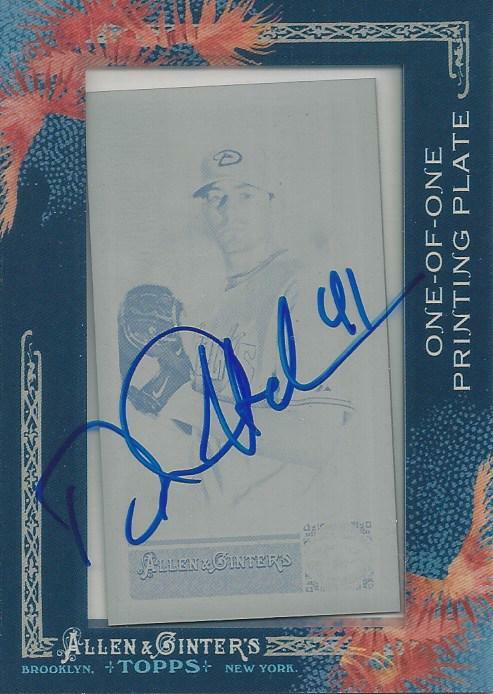 I've ofdten thought about getting printing plates signed, but haven't done it yet. Turned out nice though!